How South Australia created a new PR pathway? 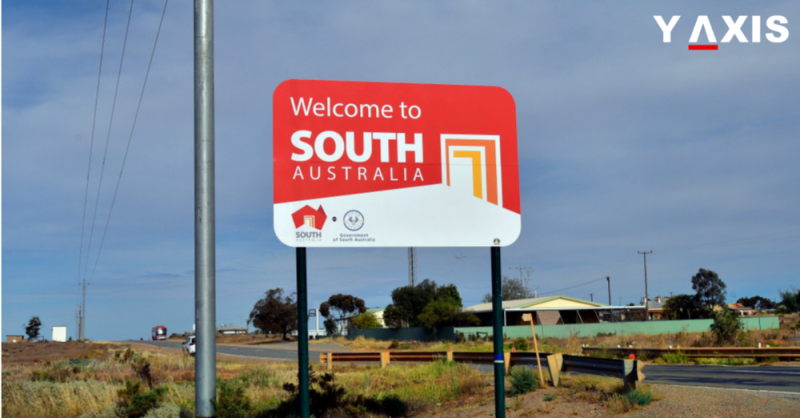 South Australia is forging a new pathway to PR for skilled migrants. An app development company, Pixelforce was started in 2011 in Adelaide by Hinney Lo. Lo did so while he was completing his Masters from the University of Adelaide. The design company had a slow start doing logos, graphic designing, and web designing. It received its major break in 2015 when it designed the first SWEAT app for fitness superstar Kayla Itsines. The app had since been downloaded for more than 30 million times. It has 1 million monthly subscribers and is expected to earn revenues up to 100 million this year. The SWEAT app’s success allowed Pixelforce to increase its employee strength from 3 to 30 since 2014. Half of them help manage the SWEAT app, as per The Leads South Australia. All the employees in Pixelforce were fresh University graduates. 15 of them were international students who were looking to work in Adelaide after completing their studies. Pixelforce has since developed apps for a number of companies. The noteworthy ones are Beston Global Foods, Angove Family Winemakers, and Wokinabox. Pixelforce is also a hosting company of Navitas, the global education provider. Navitas runs a PYP which gives foreign students the skills to Gain Employment in Australia. This further helps the students gain migration points for their Australian Permanent Residency. Navitas’ PYP sends computer science graduates to Pixelforce for a 3-month internship. 80% of the students sent have gone on to become full-time employees with the company. The students came from various countries like India, China, and Korea. Lo said that the internship program helps them to get to know the students. The students, in turn, Learn the Requirements of the Business. If they do well, the company offers them a full-time position. Currently, Pixelforce has been investing in R&D to develop computer vision technology. It plans to launch its very own mobile app in 2019. They are also planning to expand nationally and internationally. South Australia, hence, encourages its entrepreneurs and innovators to support skilled migrants in obtaining a PR. Adelaide, the capital city of South Australia, houses a population of 1.3 million. It is still much less congested than other cities like Sydney, Melbourne, and Brisbane. The Federal Govt. had agreed to partner with the South Australian Govt. to pilot a new visa initiative. The new Visa would be for foreign entrepreneurs and innovators who would need to submit a business proposal. The applicants would be able to apply for a temporary visa to start their venture in Australia. Entrepreneurs who are successful in establishing their businesses would become eligible for Australian PR. The new Visa will most probably come into force in the 2018-19 program year. Y-Axis offers a wide range of visa services and products for aspiring overseas immigrants including General skilled migration – Subclass 189 /190/489 with RMA review, General skilled migration – Subclass 189/190/489, Work Visa for Australia, and Business Visa for Australia. We work with Registered Migration Agents in Australia.